Is a Gluten-Free Diet Okay for Non-Celiac Sufferers? In North America, the gluten-free industry is now worth billions a year. Gluten-free cereals are being introduced by companies such as Kellog’s and General Mills; and Wheat Belly has been included in the list of bestsellers. Gluten-free diets are now becoming fads among many people. But what makes it so popular? Going gluten-free is a way to wellness for those who suffer from a celiac disease. Celiac disease is a reaction of the immune system to the gluten that can damage the small intestine and prevent food absorption. The common symptoms of celiac include intense abdominal pain, fatigue, joint tissues, and vitamin deficiencies because of the inability of the intestinal wall to efficiently absorb nutrients due to damage. After practicing a gluten-free diet, the symptoms will diminish quickly most of the time, although it can take around six months to two years for the intestinal wall’s lining to completely heal. Constantly checking out aviva’s Home of Health or WebMD can give you enough information about the latest health news today. These websites also have health guides such as tools and calculators to find out more about your well being. 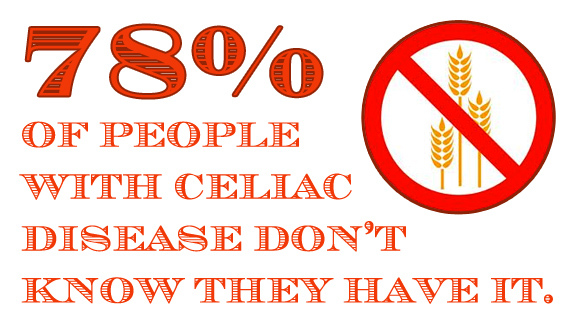 Alexandra Anca, a Toronto-based dietitian, said that celiac disease is a relatively recent phenomenon. For the last five years, people haven’t heard of gluten-free diet or celiac disease. The media and celebrities, such as Adrienne Palicki and Jennifer Esposito, brought the disease into the limelight. The condition even attracted more attention from the public when improved diagnostic procedures were discovered. For those who want to lose weight, gluten-free diet is also recommended even if you don’t suffer from celiac disease. There are many products and restaurants who are displaying their gluten-free status through their labels. Gluten is the protein that is found in wheat, triticale, rye, and barley. If you are going to practice gluten-free diet, you are going to exclude these ingredients, along with anything that could have come in contact with them. Cutting gluten in your diet alone will not generally help you in shedding a few pounds. Most people see weight loss when they cut out gluten because they also change other parts of their diet. According to Nancy Patin Falini, “often times what we’re seeing is when they change their diet they may be cutting out a lot of the processed foods that are naturally high in calories and fat.” The tendency to eat more fresh fruits and vegetables and whole foods like seeds, beans, and nuts. This entry was posted in Gluten Free, Health, Ingredients, Labeling, Science and tagged Gluten free diet, Health, medicine, restaurants on September 9, 2013 by glutenfreepdx. Call it bureaucracy in action, but a mere nine years after they were told to rule, the FDA finally laid down some rules on gluten-free labeling. Officially, 20 parts per million and under of gluten will be allowed to be labeled as “gluten-free”. Up until now, it has been entirely voluntary and left to marketers to spin as they see fit. The regulation comes almost a decade after the FDA began requiring food packaging to list wheat and other major allergens under the Food Allergen Labeling and Consumer Protection Act of 2004. The rules also ensure that companies can’t label products “gluten-free” if they could be cross-contaminated by other foods processed at the same facility. Manufacturers have until August 5, 2014, to comply. Some terms on food packaging may still confuse consumers—”organic” versus “all-natural,” “cage-free” versus “free-range.” But the “gluten-free” label now stands to ease the minds of millions suffering from serious food allergies. “My son was diagnosed with celiac disease in 2008, and now I can feed him and not worry about it. It’s something every mother would hope for,” says Geller. This entry was posted in Baking, Beverages, Cooking, Culture, Gluten Free, Health, Labeling, News, Politics, Science, Uncategorized and tagged 20 ppm, consumer protection act, FDA, food allergen labeling, food allergen labeling and consumer protection act, food allergies, food labeling, gluten free labeling, ruling, scanning electron microscope on August 8, 2013 by glutenfreepdx. 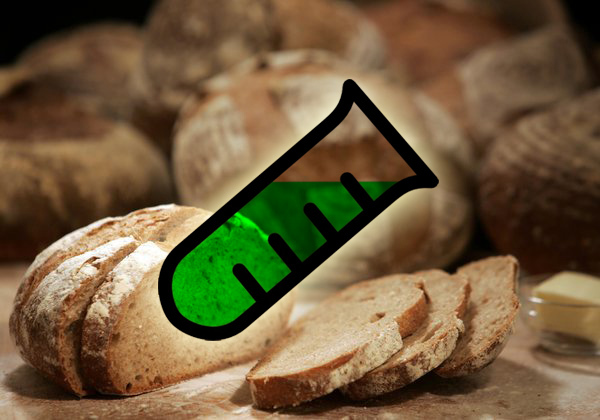 Can Gluten Be Engineered Out of Food? The LA Times has a fascinating look at the potential of people with Celiac Disease being able to be “engineered out” of the foods we eat. Can scientists create gluten-free wheat plants to make bread with? 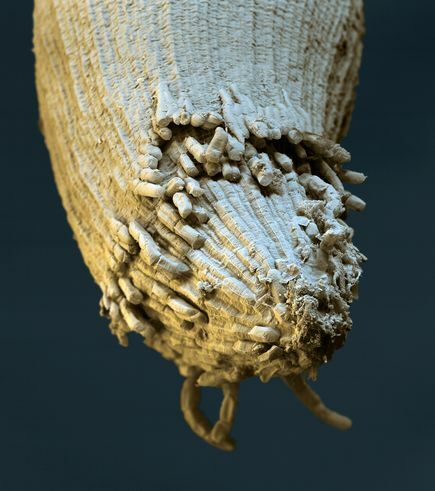 Writing in the journal PNAS, a team of scientists concludes that it’s quite possible. People with serious gluten allergies such as celiac disease now have only one tried-and-true option: swear off all foods containing wheat, barley and rye. Only that way can they avoid the damage that gluten exposure wreaks: abdominal pain, nutritional deficiencies and a progressive flattening of the tiny hairlike villi in the gut that are needed for the proper digestion of food. Avoiding gluten isn’t easy, and those with the discipline to succeed deal with a host of restrictions to their diets. This entry was posted in Baking, Cooking, Health, Ingredients, News, Science, Uncategorized and tagged gluten cure, gluten proteins, Health, ingredients, PNAS, PNAS gluten, rosie mestel, Science, wheat barley on November 28, 2012 by glutenfreepdx. Say WHAT? 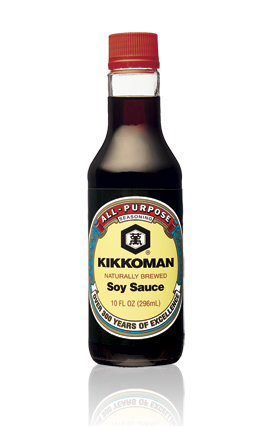 Soy Sauce is Safe? This entry was posted in Cooking, Health, Ingredients, Labeling, News, Science, Uncategorized and tagged chemical hydrolysis, Gluten free diet, gluten free Kikkoman?, gluten free soy sauce, Kikkoman gluten free, soy sauce, soybean protein, tamari on October 15, 2012 by glutenfreepdx. Here’s a write up about just how under-diagnosed Celiac disease is. Most of you reading this know it already, but if you have friends or family with poor health or symptoms that resemble Celiac, have them get tested! THURSDAY, Aug. 2 (HealthDay News) — New research suggests that 1.4 million Americans have celiac disease but don’t realize it, while 1.6 million people are on gluten-free diets — a treatment for celiac disease — even though they might not need it. The findings, which estimate that 1.8 million Americans have celiac disease — an autoimmune condition — suggest that a whopping 78 percent of sufferers don’t realize they have the condition. People with celiac disease have trouble digesting wheat, rye and barley. A gluten-free diet can help, but about 80 percent of people on such a diet haven’t been diagnosed with celiac disease. The researchers came to their conclusions by examining blood-test results and the findings of a national survey. Celiac disease appears to be especially common in white people. “Virtually all the individuals we found were non-Hispanic Caucasians,” said study co-author Dr. Alberto Rubio-Tapia, a Mayo Clinic gastroenterologist, in the news release. But, he said, the results are head-scratching because research in Mexico has suggested celiac disease is common there. The research was funded in part by the U.S. National Institutes of Health and the U.S. Centers for Disease Control and Prevention. The study appears July 31 in the American Journal of Gastroenterology. 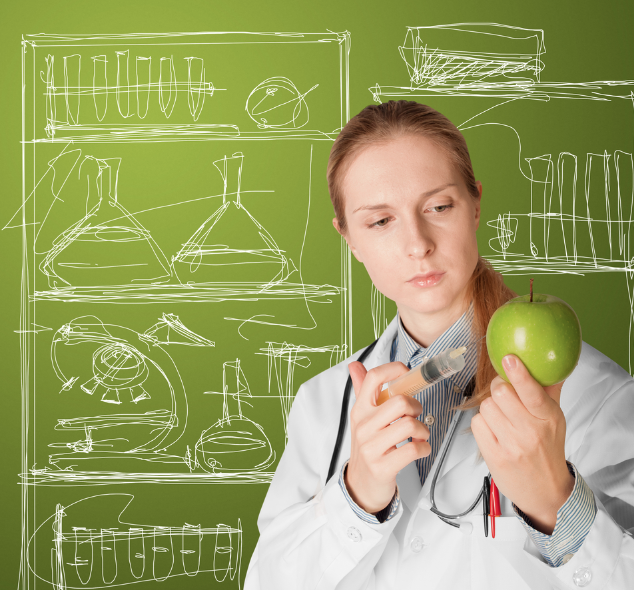 For more about celiac disease, try the U.S. National Library of Medicine. This entry was posted in Culture, Health, Science and tagged Celiac, Gluten free diets on August 3, 2012 by glutenfreepdx. Going Gluten-Free? Don’t Forget Fiber. Via US News & World Report. If you’ve recently adopted a gluten-free diet—eliminating wheat, barley, rye, and any food that contains derivatives of these ingredients—you may have inadvertently eliminated something else from your diet as well: fiber. 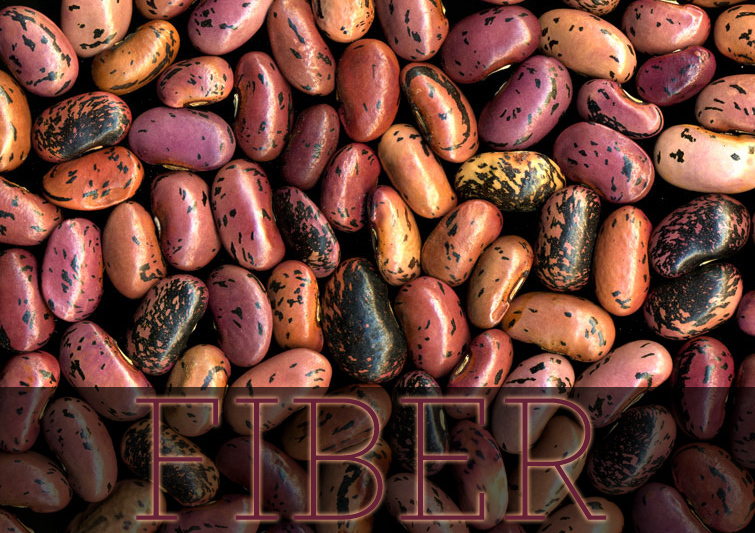 Getting adequate fiber in the diet is essential for a host of reasons, including maintaining regular bowel movements, maintaining low cholesterol levels, managing your weight, preventing colon cancer, and supporting a diverse and thriving community of friendly gut bacteria. These beneficial bacteria manufacture vitamins, help protect you from foodborne illness, and stimulate the production of immune cells that boost your resistance to other infections.The average American adult’s fiber intake has been estimated at about 16 grams per day—far below the recommended levels of 25 to 38 grams per day for women and men, respectively. Grain-based foods are the primary source of fiber in the U.S. diet, accounting for about 44 percent of total fiber intake among Americans, according to the Centers for Disease Control and Prevention’s National Health and Nutrition Examination Survey. Since wheat is far and away the predominant grain in the U.S. diet, this heavy reliance on grains for our fiber intake is bad news for gluten-free dieters. If fiber is what you’re after, you’ll need to be sure your diet isn’t loaded with gluten-free versions of typical wheat-based convenience foods, like bread, pasta, crackers, waffles, and cereal. The gluten-free versions of these foods are notoriously low in fiber, as they are generally made with high-starch flours like whiterice, potato, and tapioca. Furthermore, these products often have up to twice the calories per serving as their conventional counterparts, which can wreak havoc on your weight-loss plans. Instead, try building your diet around naturally gluten-free, whole, or minimally processed foods, like the ones below, to help you meet your fiber needs. • Bring on the beans: Skip starchy, low-fiber, gluten-free staples like potatoes and rice, and opt for a side of beans with your meal instead. From French lentil salad and Cuban black beans to Boston baked beans and Moroccan spiced chickpeas, there’s no shortage of variety in ways to prepare legumes, and using canned beans is a fast and easy way to speed up meal prep. If cooked bean dishes aren’t your thing, try stocking gluten-free bean-based soups like lentil, split pea, or black bean in your pantry and having them for lunch or with a light dinner several times a week. For variety, snack on edamame (boiled soybeans), or look for chips and crackers made from bean flour instead of your usual corn- and rice-based ones. • Sprinkle some seeds: Gluten-free breakfast cereals are notably low in fiber. Whereas a high-fiber conventional breakfast cereal will have anywhere from 5 to 14(!) grams per serving, the most you can expect from the best gluten-free cereals is only about 3 grams per serving, tops. To boost the fiber content of your gluten-free cereal, try topping it with 2 tablespoons of chia seeds or ground flaxseeds; in addition to fiber, you’ll get a hefty, bonus dose of heart-healthy omega-3 fatty acids. • Go nuts for almond flour: When making gluten-free treats like pancakes or mini-muffins, skip starchy gluten-free flours like rice and tapioca, and look for recipes that feature almond flour instead. This versatile flour, which has three times the fiber (and protein) per one-quarter cup serving than white rice flour, also makes a great gluten-free coating for “breaded” fish or chicken, and it’s a fabulous fill-in for breadcrumbs in meatballs. Once opened, keep your bag of almond flour sealed tightly and refrigerated for freshness. • Pass the popcorn: While popcorn seems like an indulgence, it’s actually a healthy, whole-grain snack whose fiber content surpasses other gluten-free, crunchy, salty snacks like potato chips, tortilla chips, and gluten-free pretzels. A 3-cup serving of air-popped corn, sans butter, has less than 100 calories and delivers 3 grams of fiber. Use a dash of salt or sprinkle of nutritional yeast for flavor, and you won’t even miss the fat. • Cook up some gluten-free oatmeal. One-half cup of rolled, gluten-free oats will yield just about 1 cup of cooked oatmeal, and contains 150 calories and 4 grams of fiber. A quarter cup of dry, gluten-free, steel-cut oats will yield about 1 cup when cooked and have roughly the same nutrition credentials. At least two national brands offer gluten-free versions of both types of oatmeal: Arrowhead Mills and Bob’s Red Mill. Mix in a generous 1-cup portion of fresh blueberries, and you’ll double the fiber of your meal. This entry was posted in Cooking, Culture, Health, Ingredients, Science, Uncategorized and tagged breakfast, fiber, food, Gluten free diet, gluten free fiber, Health, nutrition examination survey, vegetarian on August 1, 2012 by glutenfreepdx. Hope your week is going well, here’s a charming (and meaningful) ad to get you movin. Love the handmade stop-motion look, and Willy Nelson’s interpretation of Coldplay’s song! And speaking of Chipotle, here’s a look at their gluten-free offerings. This entry was posted in Cooking, Culture, Health, Ingredients, Labeling, Politics, restaurants, Science and tagged Back to the Start, Chipotle, Chipotle gluten free, Coldplay, gluten-free, Science, stop motion, willy nelson video on July 23, 2012 by glutenfreepdx. Kellogg's Gluten Free Offerings: None. Carl's Jr. Offers Gluten-Free Burgers!